Dr Teresa Belton worked as a researcher from 1999 and is now a Visiting Fellow in the School. Her doctoral research was an exploration of the influence of television and videos on children’s imagination, resulting in her unpublished thesis: Belton, T. (1998) An Investigation of the Influence of Television and Videos on 10-12 Year-old Children’s Storymaking. This began an interest in the origins of values, attitudes and behaviours, particularly with respect to wellbeing and to the environment, and in the relationship of boredom to imagination. She has also worked on a number of educational evaluation projects. 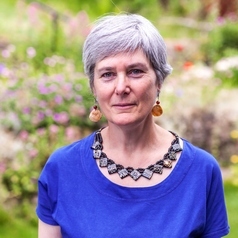 Earlier she co-edited a book titled Food, Science and Society: Exploring the Gap between Expert Advice and Consumer Behaviour, to which she contributed a chapter on attitudes to eating fruit and vegetables.